The Financial Conduct Authority (FCA) has published its long awaited final report (the Report) on the retained provisions of the Consumer Credit Act 1974 (CCA). Responsibility for consumer credit regulation was transferred from the OFT to the FCA from 1 April 2014. Most CCA provisions were retained, but some were repealed and replaced by FCA Rules and Guidance. Others were subsumed into the FSMA regime, including the Regulated Activities Order (RAO) which replaced the licensable activities and exemptions under the CCA. whether the burden or restriction which was imposed by the CCA in relation to the carrying on of an activity was proportionate to the benefits. provides for judicial control and powers in relation to agreements and for the onus of proof in certain court proceedings. The FCA has stated that, whilst there are other consumer protections that sit outside the CCA (e.g. under the Consumer Rights Act 2015), a repeal of the relevant provisions would not sufficiently maintain an appropriate degree of consumer protection. FCA does however note that for some protections (e.g. joint creditor/supplier liability under s.75 of the CCA) there were potential issues that merited further consideration. For example, one common complaint from lenders was that some customers effectively treated s.75 as a form of insurance since the lender was liable under s.75 for the entire contract sum in the event of non-performance by the supplier (despite the fact that the customer may have only paid a small proportion of the contract sum on credit). Unauthorised payments and credit tokens under s.66 and ss.83-84 of the CCA. The FCA cautions that any such changes would need to be considered carefully, in light of the FCA’s statutory objectives and on the basis of a cost benefit analysis. The FCA notes that the CCA requires firms to provide a variety of pre-contractual and post-contractual information (both periodically and on request) – including the giving of certain statutory notices to customers upon particular events occurring (such as a customer falling into arrears). The FCA considers that, in general, most provisions in the CCA relating to information requirements did not impose disproportionate burdens and restrictions on lenders and hirers when compared to the benefits provided to consumers, but noted that some amendments may help to make information more relevant and readily comprehensible for customers in different situations. The FCA has recognised that, in some cases, there may be merit in allowing firms additional flexibility or in updating requirements around the method of provision of information to reflect new methods of digital communication and customer preferences (subject to retaining core customer protections). In other cases (i.e. the service of significant communications such as enforcement, default and termination notices) the FCA is of the view that the use of physical post is important given the potentially serious consequences of such notices (based on the assumption that a customer may be more likely to take notice of a document which arrives by post). Such amendments may make information more relevant and readily understandable for consumers in a wider range of circumstances while catering for the need to adopt more a principle-based, outcome-focused approach. For example, the FCA note that it would be worthwhile to update information requirements to reflect new methods of digital communication and consumer preferences. areas that may act as a barrier to technological development and innovation without delivering commensurate consumer protections. The most extensive section of the report is dedicated to a review of the sanction regime under the CCA. Unsurprisingly, it also drew the strongest opposing views from industry and consumer groups. As regards replacement, the FCA is of the view that it would not be possible to replicate the sanctions of unenforceability or disentitlement under our current FSMA rule-making powers. The FCA recognises that whilst it may in principle be possible to keep the CCA sanctions within the CCA or other legislation (whilst replacing the substantive information disclosure obligations that give rise to the sanctions by FCA rules) this may require primary legislation if amendments could not be achieved through use of the Treasury’s order making power under the Financial Services Act 2012. Alternatively Parliament could elect to amend the FCA’s FSMA rule-making powers to enable them to apply unenforceability as a sanction for breach of FCA rules in a wider set of circumstances than is currently provided under FSMA. As regards the utility of the CCA sanctions regime in general, the FCA considers that the ‘self-policing’ nature of the automatic sanction of unenforceability (without a court order or during the currency of a breach) should be retained on the basis that it has a significant impact on ensuring appropriate firm conduct. It recommends that disentitlement to interest, fees and charges (e.g. in the case of a failure to serve a statutory notice of sums in arrears) should also be retained as a sanction providing that emphasis be placed on the types of breach that are the most harmful to consumers. in absence of reported case law, clarification on the scope of regulation 41 to avoid confusion on the effectiveness of notices and statements. The FCA has also stated that it considers that there may be merit in clarifying the meaning of “enforcement” (for the purposes of sanctions under the CCA) to put its meaning beyond doubt. Whilst the majority of practitioners consider the meaning of enforcement to be reasonably clear and settled (citing the leading case of McGuffick v The Royal Bank of Scotland plc  EWHC 2386) the FCA has long tried to apply a narrow reading of the judgement in McGuffick, stating in its Report that it considers that the applicability of the case beyond the requirements of sections 77 of the CCA to be limited and stating in CONC 13.1.6[G] that firms should not threaten court action or other enforcement of the debt in cases where they have not in complied with a request under sections 77, 78 or 79 of the CCA (despite the judge in McGuffick finding that steps taken with a view to enforcement – such as threatening or issuing proceedings – did not amount to enforcement). The FCA has stated that a possible new approach to “enforcement” might be to prevent a firm from taking any action of a coercive nature against the customer to compel or secure performance of an obligation during a period of unenforceability. This might, for example, include demanding payment (as opposed to passively accepting payments) or using other self-help remedies such as taking payment under a continuous payment authority. Such an approach, if implemented, would be a significant departure from the current regime and would further restrict the tools available to lenders and owners. HMT will now consider the FCA’s report and decide which aspects (if any) should be taken forward. 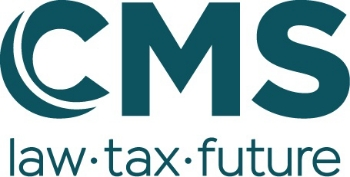 Given that much of Parliament’s time is currently taken up with Brexit, and the fact that the FCA has not recommended any radical changes to the retained CCA provisions (in terms of the protections afforded to customers and the balancing of the burden of regulation against the benefits it delivers) we do not expect any significant changes in the short-to-medium term.